The vibrant colour of blood orange is striking. Its sweetness is more mellow than bright acidity of lemon. The recipe calls for zest and juice which give a lovely boost of orange flavour to the ricotta custard filling. The combination reminds me of cannoli. It is similar to a more delicate version of ricotta pie. As for the colour, that doesn’t translate so well. The deep maroon shade turn the custard into a mute orange tone. Remember in the old days when colour crayon was insensitively labelled “flesh”? Yea, that weird colour. Naturally icing sugar is a wonderful master of disguise. 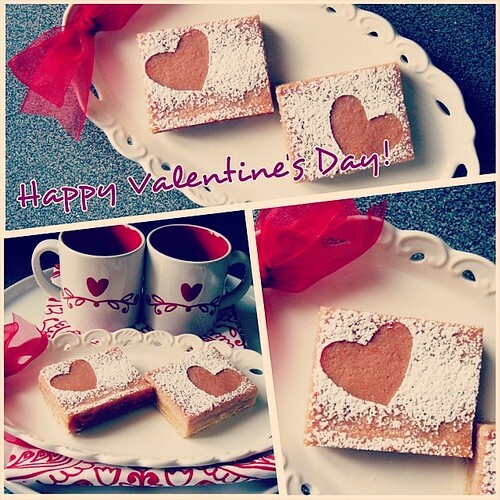 In honour of Valentine’s Day, I cut out small hearts with parchment paper to make cute stencil patterns on the bars. Once the bars are blanketed with a thick layer of icing sugar, I carefully lift the paper stencils with pointy chopsticks. With just a peek of colour showing, the weird colour doesn’t look so offending anymore. Kukla’s recipe is spot-on regarding baking time. The buttery shortbread crust is made even better since I splurged on fancy 84% high butterfat butter. The custard set in exactly 30 minutes with a delicate texture. 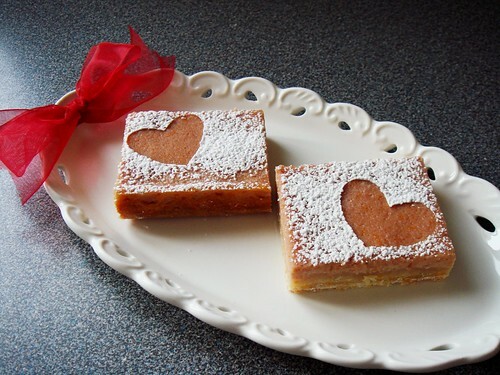 If you want to switch things up from the typical lemon curd bars, I highly recommend her recipe. If you are the celebrating type, there are more treats in the archive for the occasion! 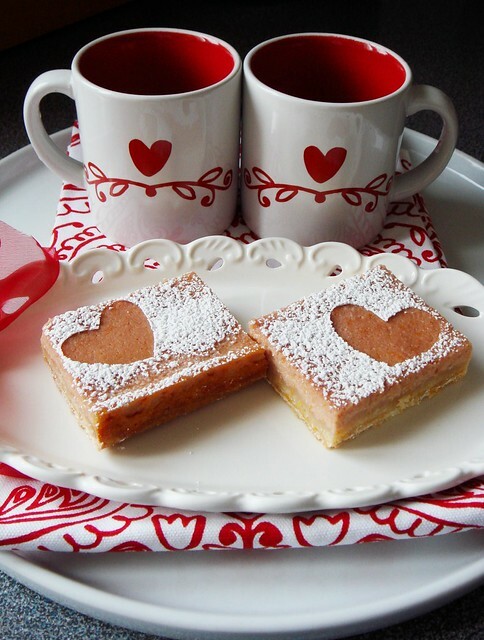 You can make Cocoa Peppermint Shortbread with Mint Pattie Heart if you can find York Peppermint Patties in seasonal heart shape. 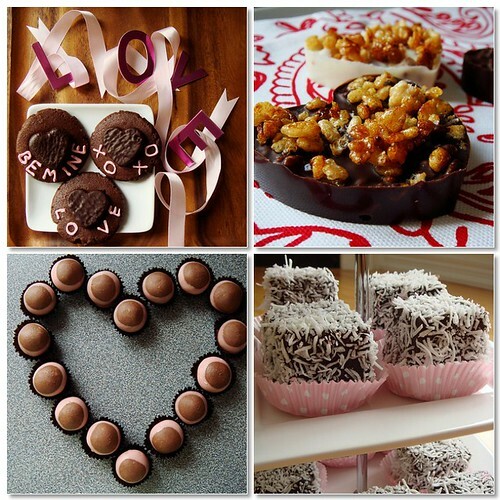 If tempering chocolate and making caramel get you excited, the Chocolate Hearts with Caramelized Rice Krispies & Dried Cherries is right up your alley. For beginning confectioners or Nutella enthusiasts, the brown and pink Nutella Buckeyes is easy and pretty. And I always love a good lamington. My Blood Orange Lamingtons look quite festive in pink and white polka dot cupcake liners. Happy Early Valentine’s Day! You still have a couple of days to prepare these treats if you haven’t already. 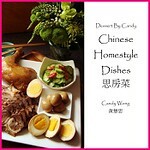 Oh and don’t forget to stop by my online store to order a copy of Dessert By Candy Chinese Homestyle Dishes 思房菜!